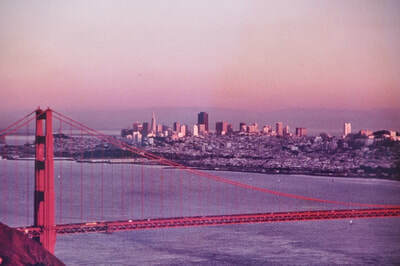 This is an actual photograph taken sometime in the 20th century and is not a print or reproduction. 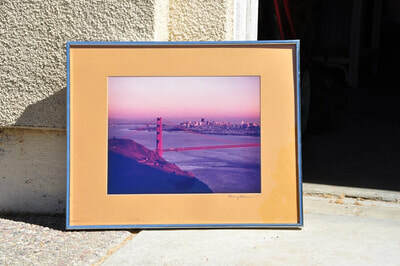 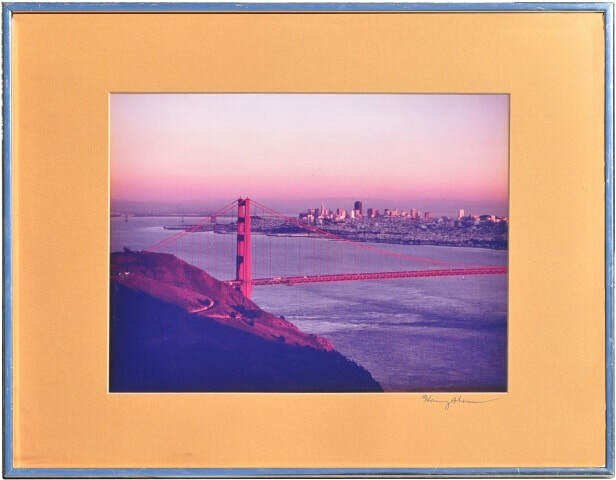 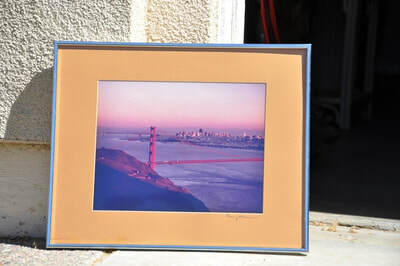 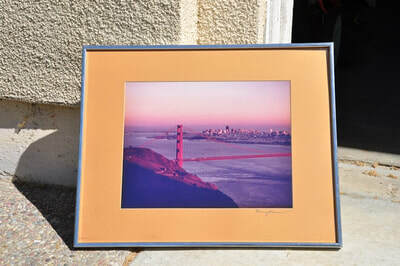 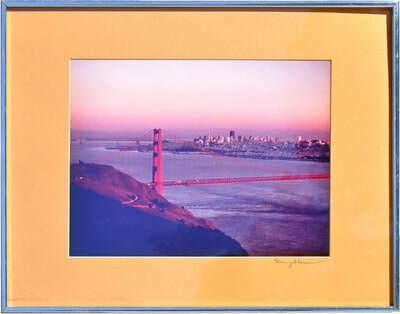 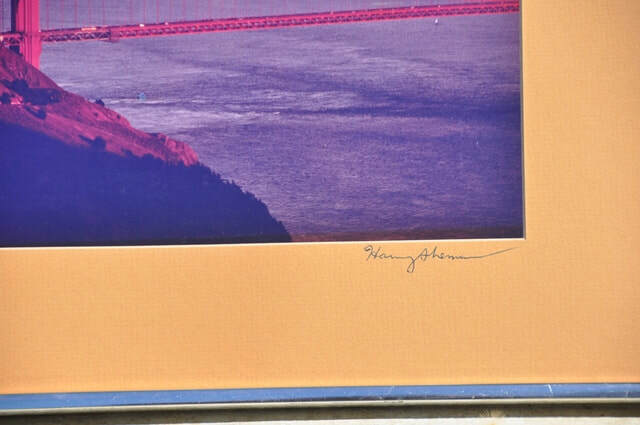 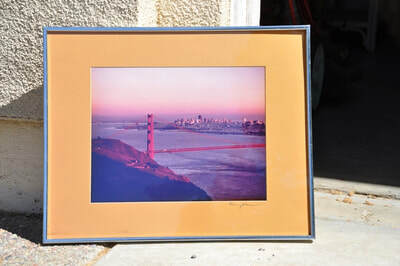 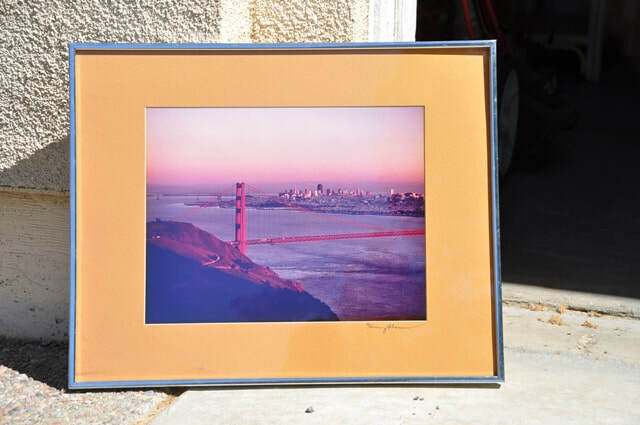 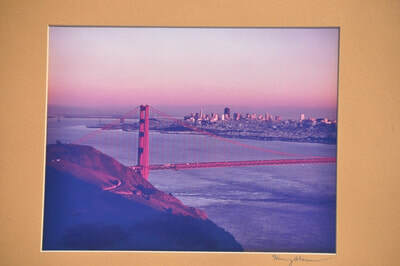 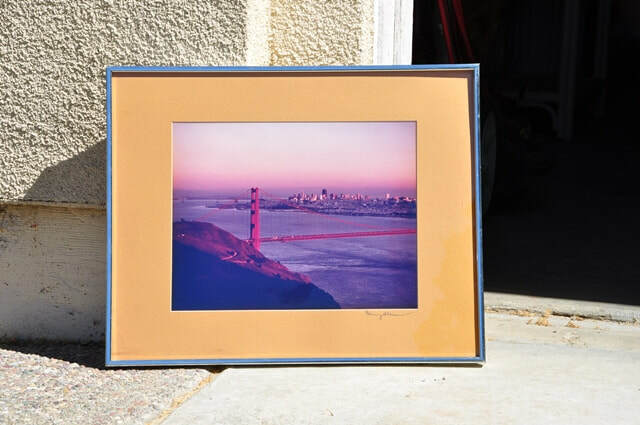 The photograph was taken from the Marin side of the Golden Gate Bridge and one can see San Francisco in the background. 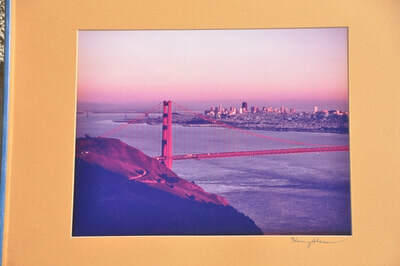 What I like about this photograph is the nice purple color in the horizon and also the purplish tinge overall. 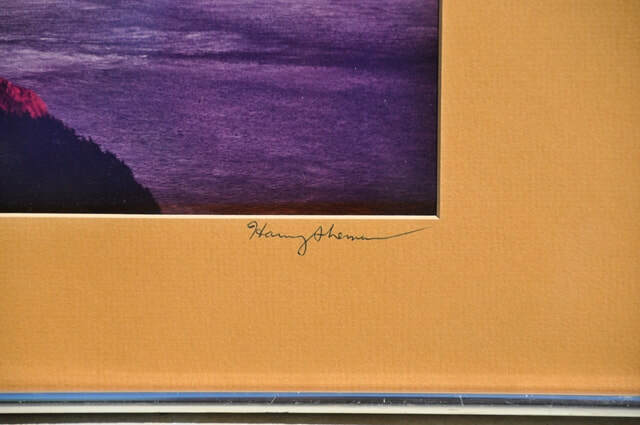 It is signed on the mating. 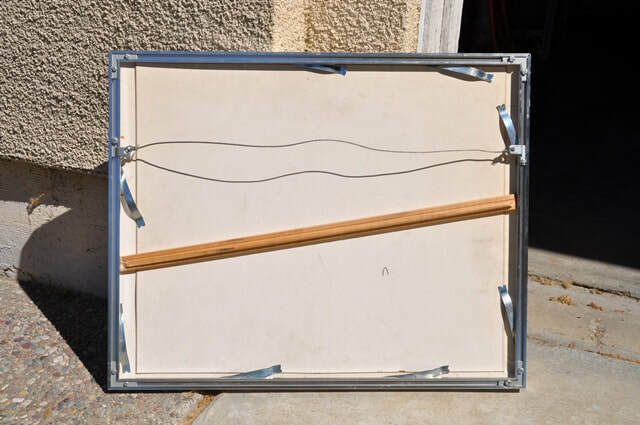 The frame is 20-1/4"x16-1/4" in size.